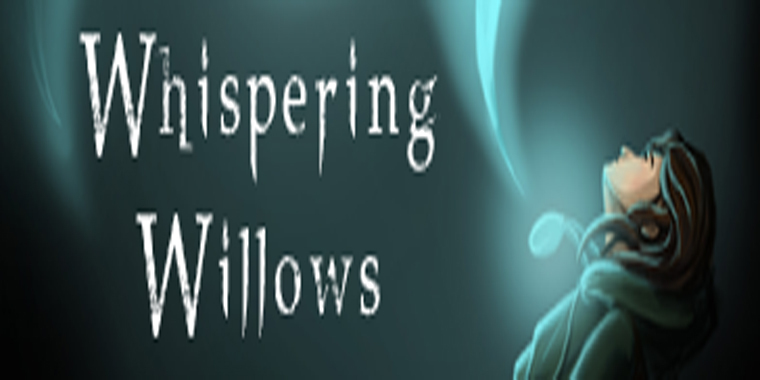 Whispering Willows opens with daunting piano chords and a recurrent, faint sound of wailing voices. 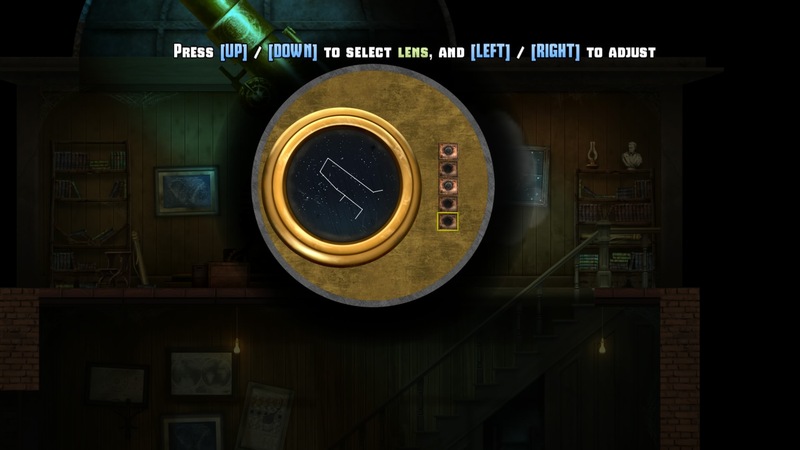 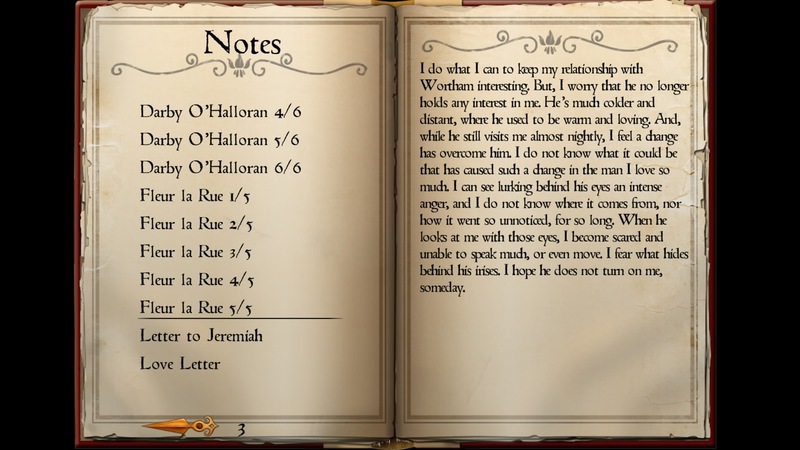 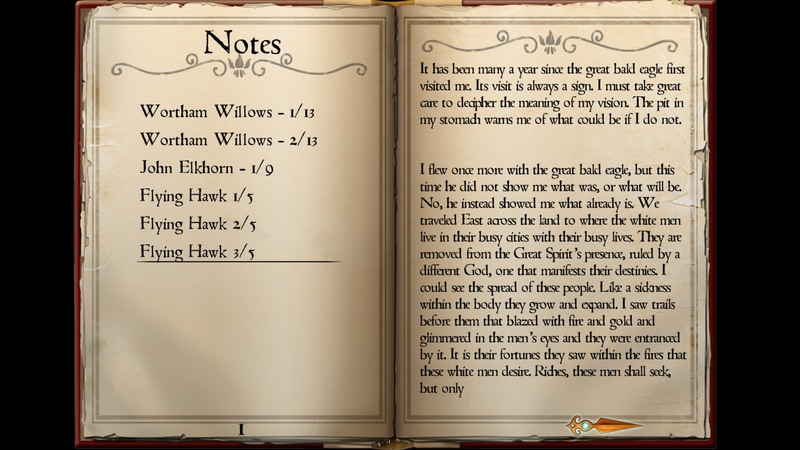 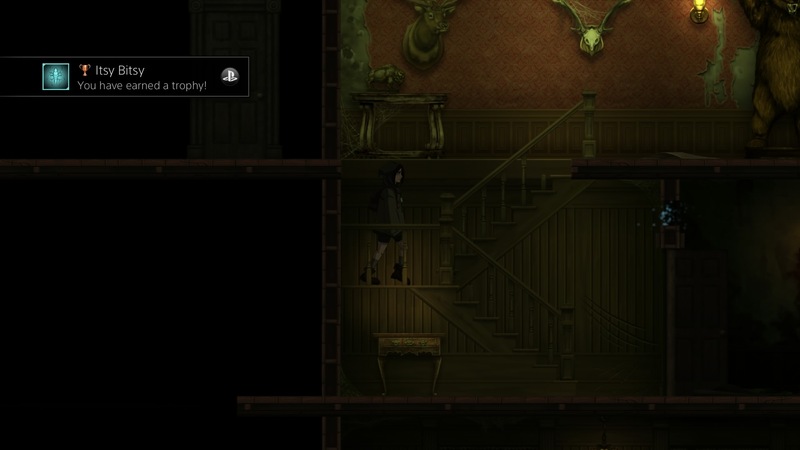 So sets the stage for this spooky historical fiction game by Night Light Interactive, published by LOOT. 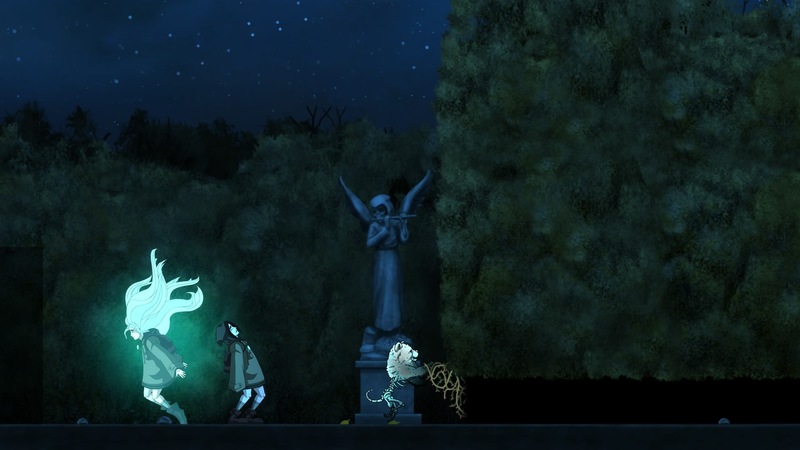 What’s great about Whispering Willows – its multi-faceted story – is only slightly hampered by technical snafus. 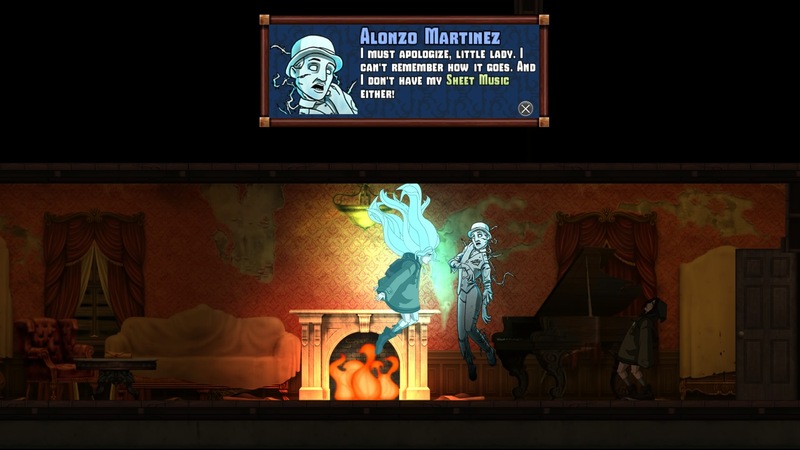 Upon embarking on a New Game, an opening cut-scene rolls that depicts a newspaper feature titled “MANSION GROUNDSKEEPER GONE MISSING.” A young girl in bed wakes up, dons an amulet, and sprints off toward a dilapidated mansion. 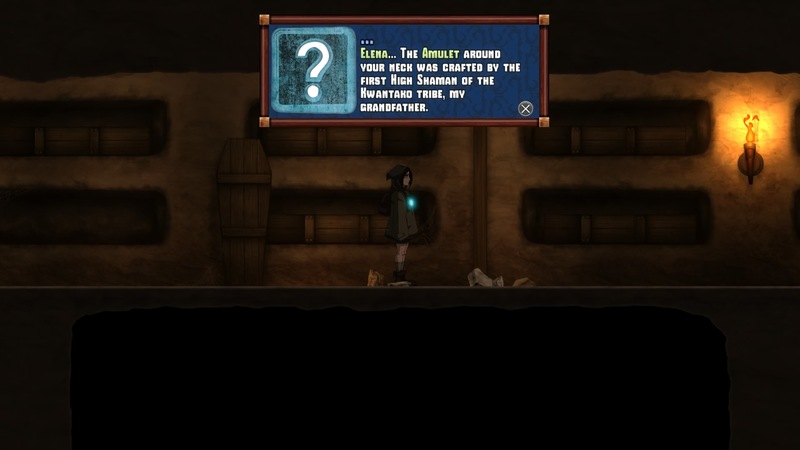 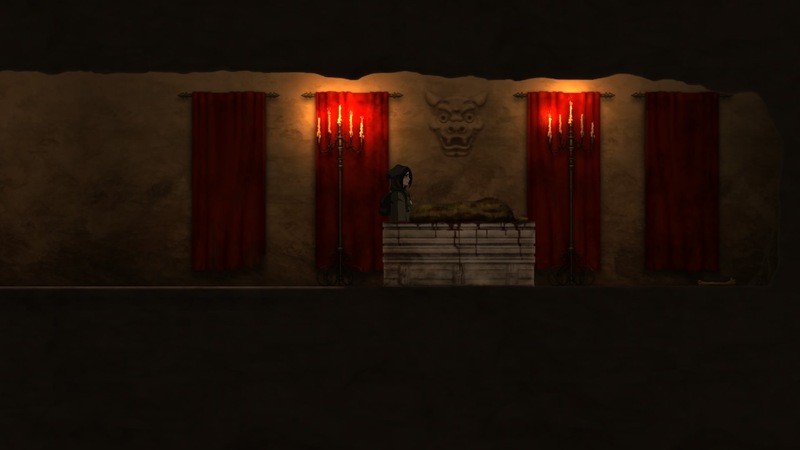 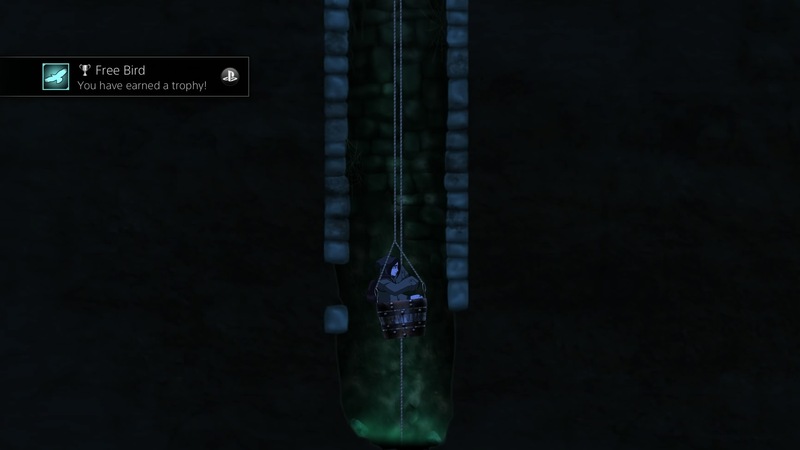 The player takes control shortly after the young girl falls down a concealed shaft into catacombs. 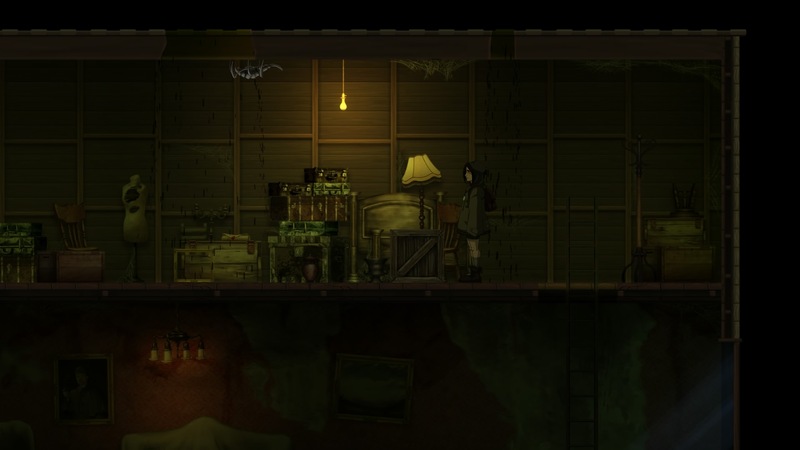 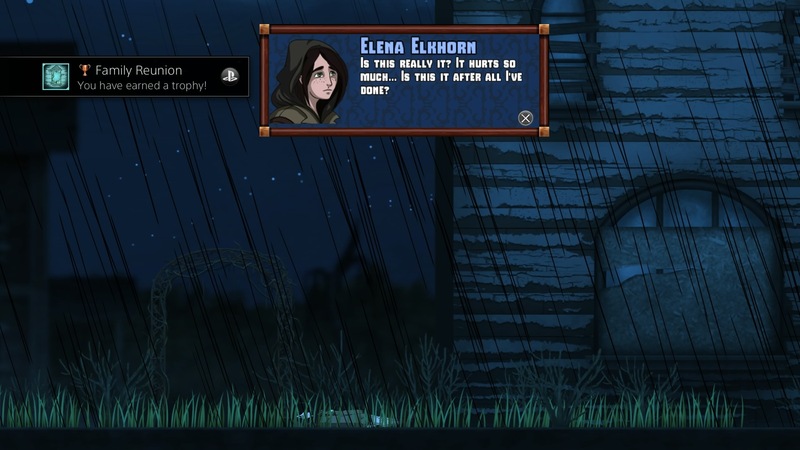 You play as Elena Elkhorn, the decedent of a fictitious Native American tribe known as the Kwantako. 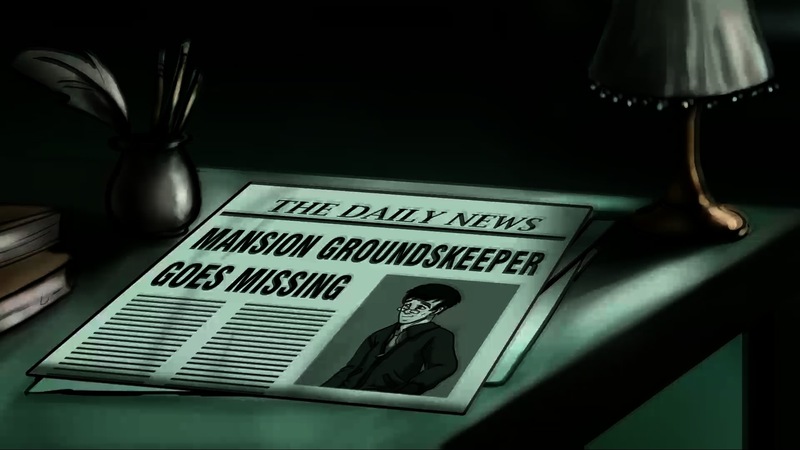 Your primary goal is to find the whereabouts of your father who has recently gone missing. 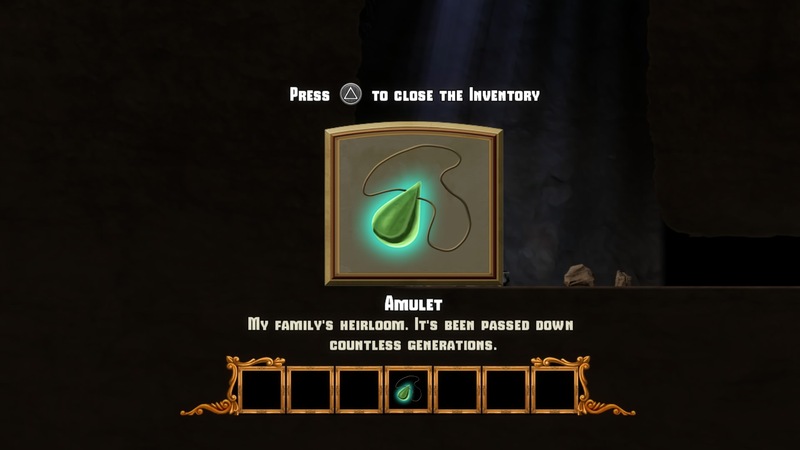 Along the way, though, you’ll unearth the past of your people. 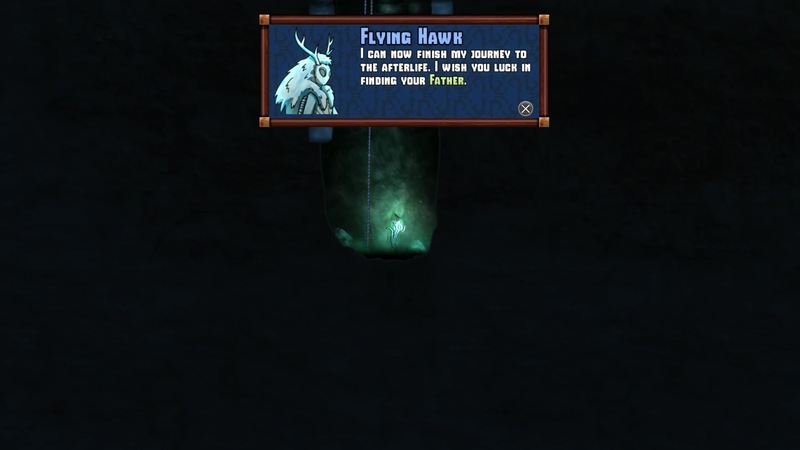 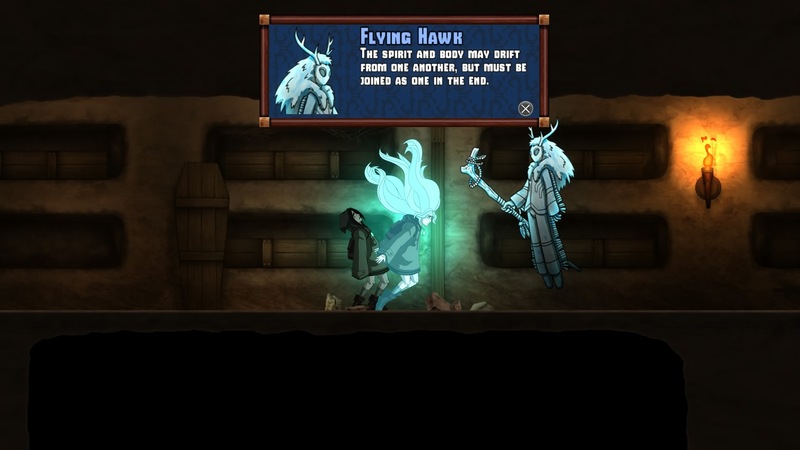 In short time, you’ll meet up with the spirit form of Flying Hawk, a Kwantako shaman who has lost his body and needs help recovering it. 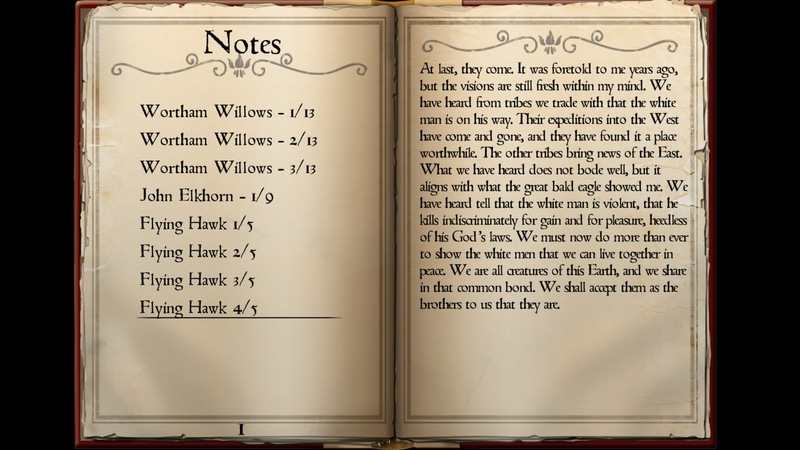 You see, it’s okay for the spirit to separate from its physical form for a short while, but they “must be joined as one in the end,” according to Flying Hawk. 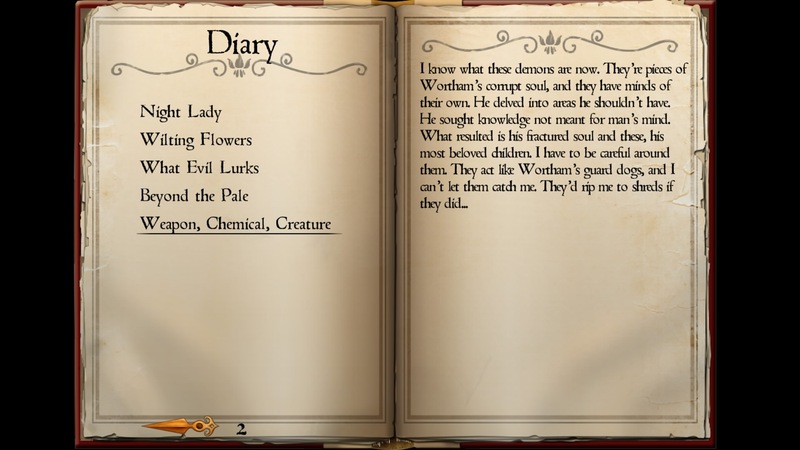 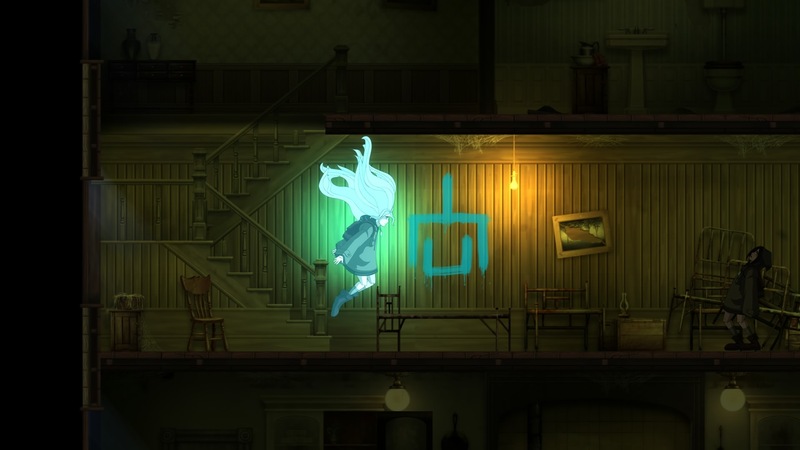 The early parts of the game train you on using your spirit form to squeeze through cracks in walls/ceilings, converse with the departed, and to possess objects. 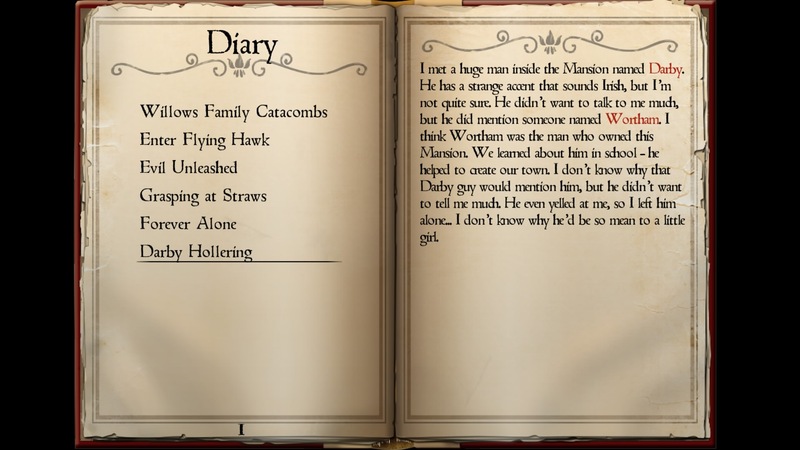 Most of the story is depicted through diary entries and notes scattered abound the Wortham mansion and its grounds. 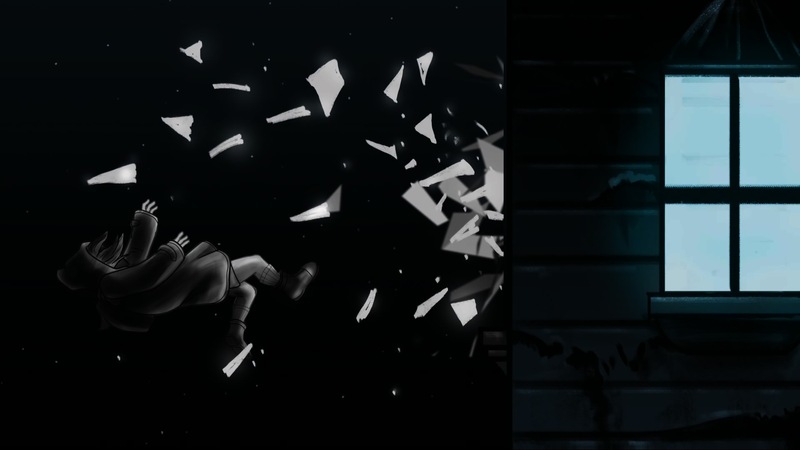 This allows for different perspectives to be presented, tied to each other with Elena as the center point. 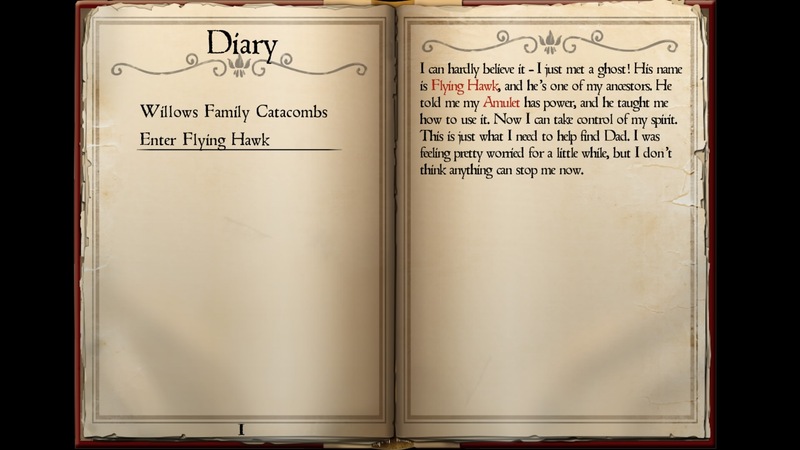 I’m a bit torn on the storytelling. 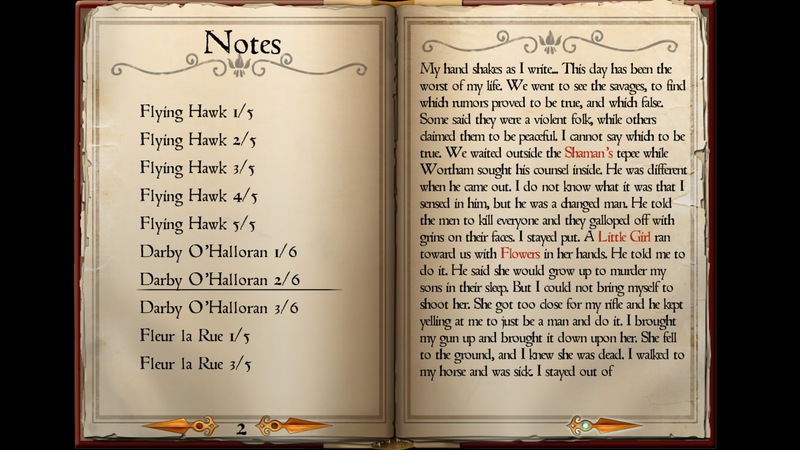 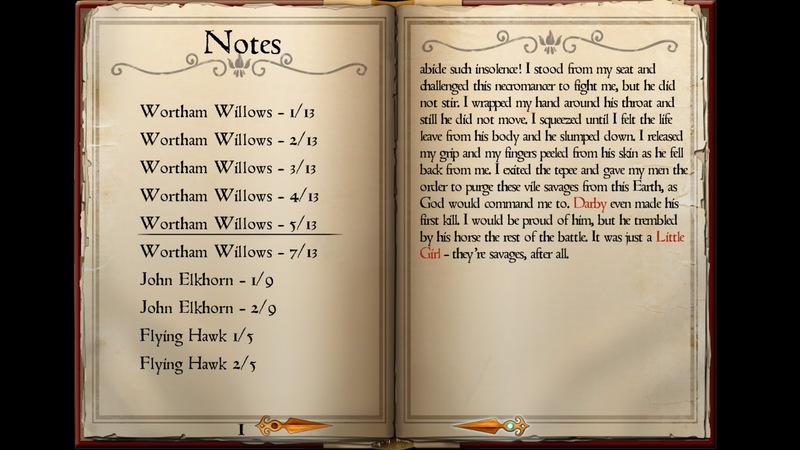 In the video games medium, it’s possible to weave a story with more than the written word. 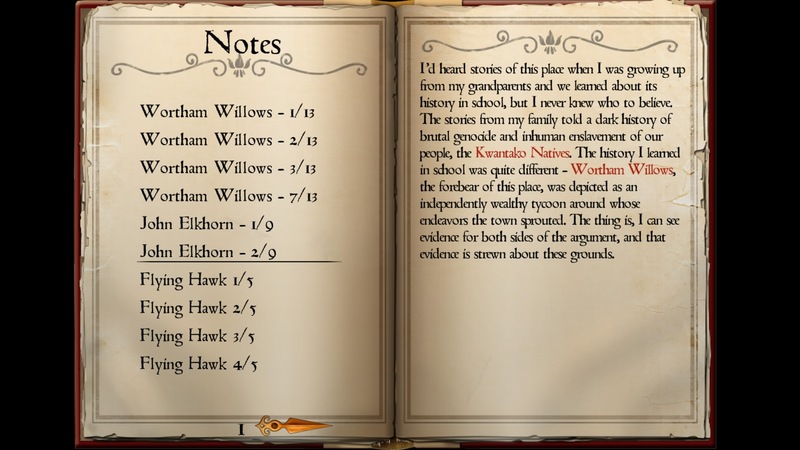 However, I’ll admit that I was drawn in by the varying points of view. 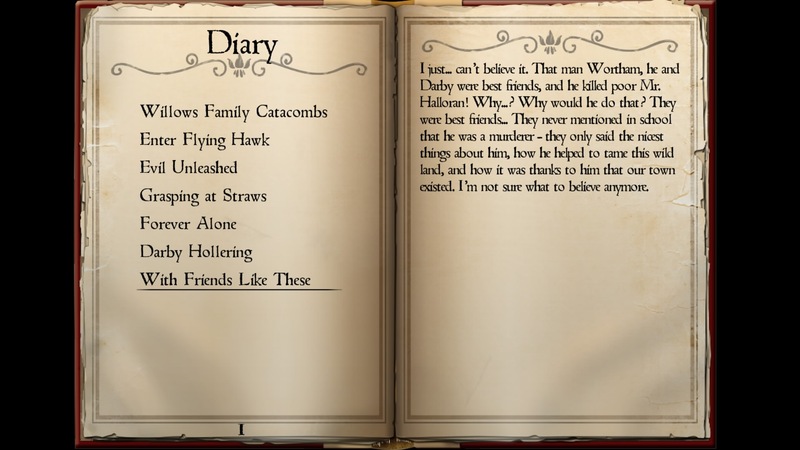 I read every diary entry and every note from all of the major characters. 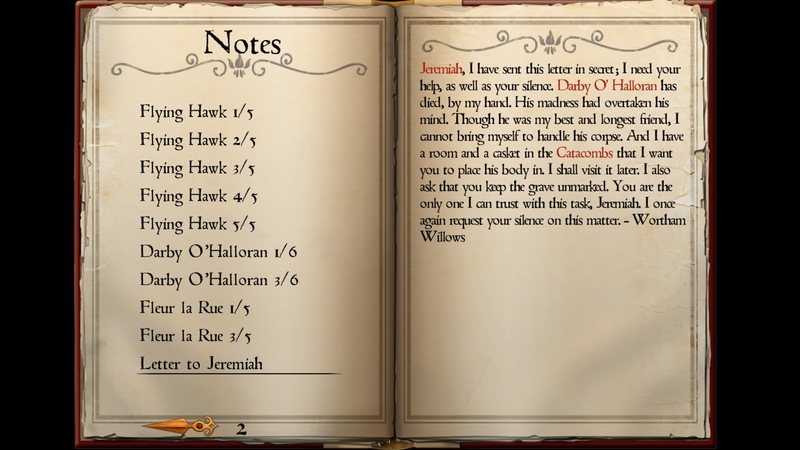 To my pleasure, the story is well written, with characters that I felt compelled to learn more about throughout. 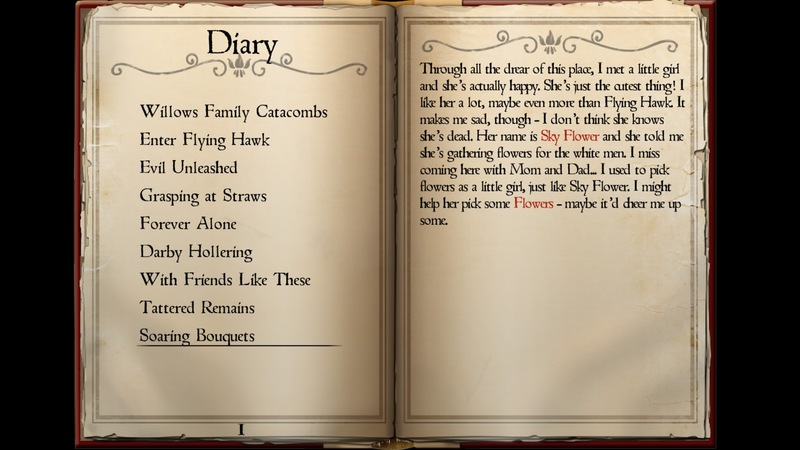 Perhaps the most important aspect of the story is that it’s of a type rarely told, especially in video games. 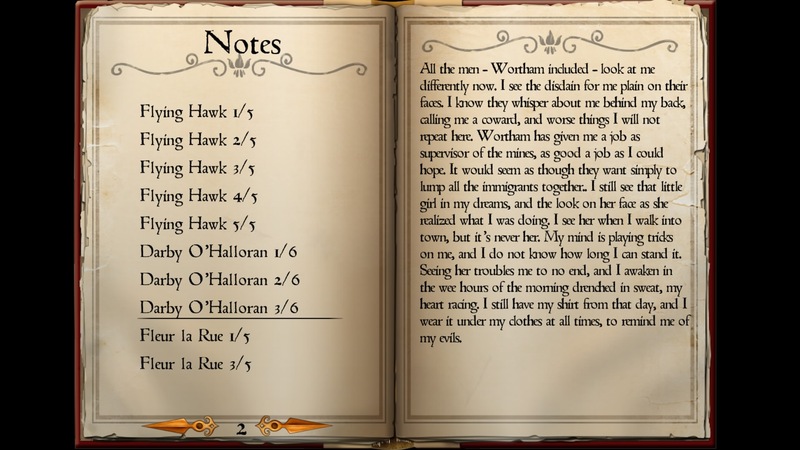 I can’t recall another game (my memory focusing on PSN offerings) that revolves around Native American history and customs, casting a female as its vehicle. 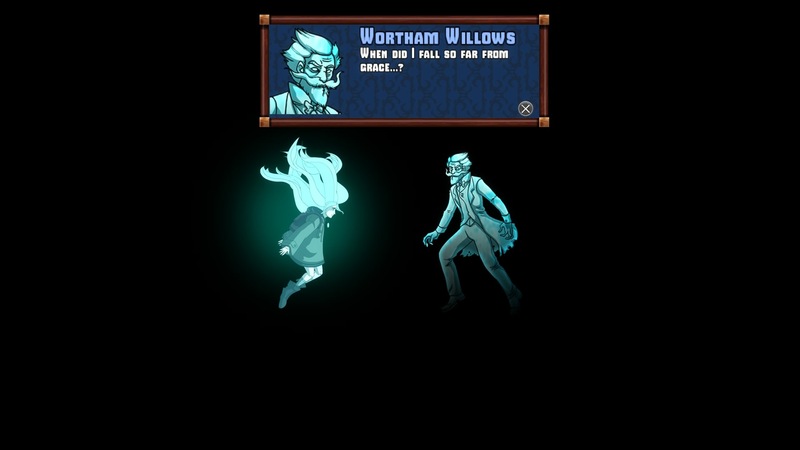 To that end, Whispering Willows is a grand success. 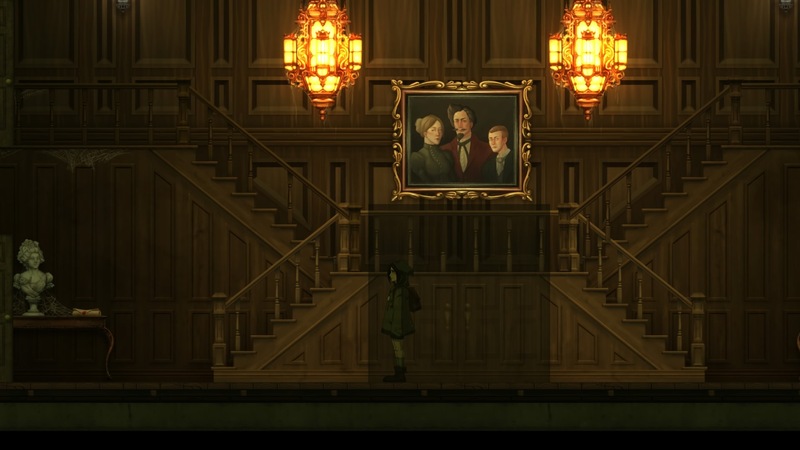 The art style is excellent besides for the cut-scenes, which pale in quality to the rest of the game. 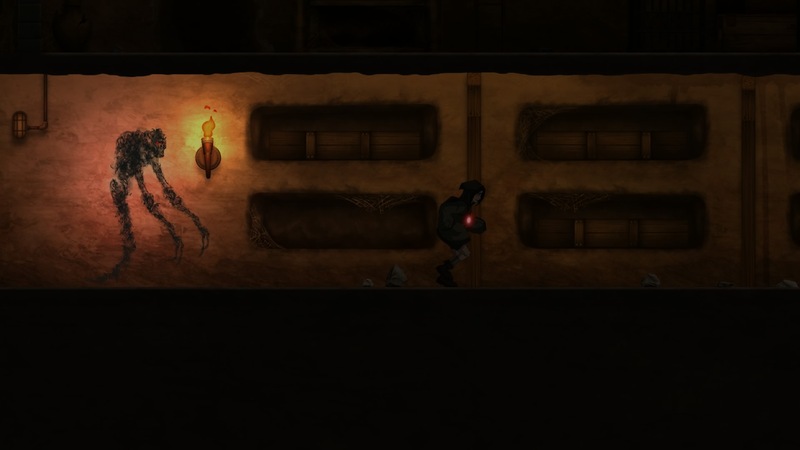 I particularly like all of the in-game character art and animations. 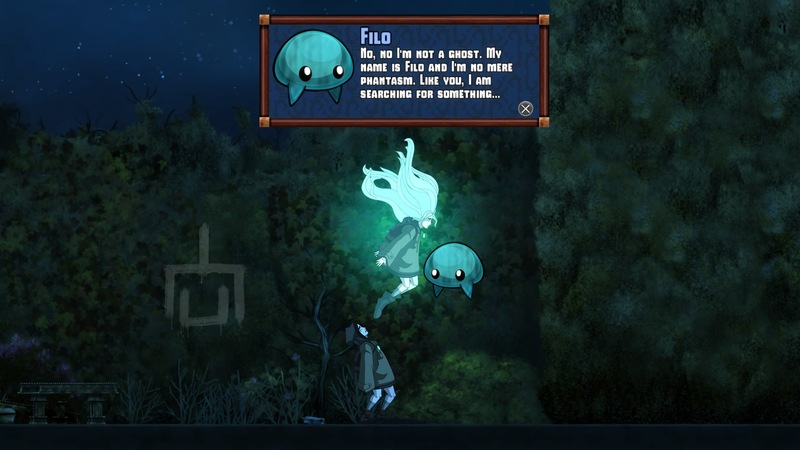 The overall sound design is similar to the title screen, not relying much on catchy tunes but instead on environmental noises. 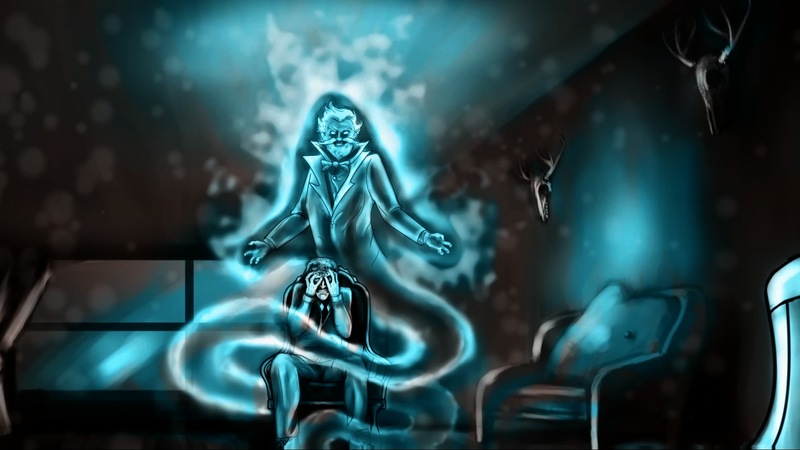 Low-octave key strokes are accompanied by creaks and cracks, sounds that’d make you double check if your house is empty if you heard them in the middle of the night. 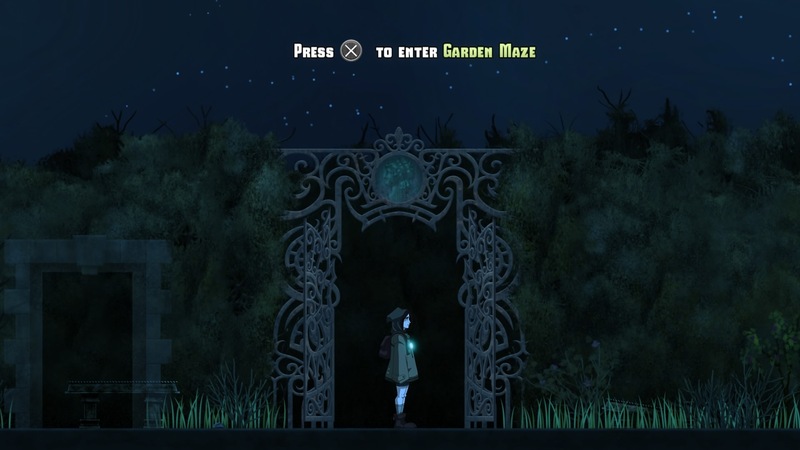 Play the game with a good set of headphones and you’ll find the experience much more immersive. 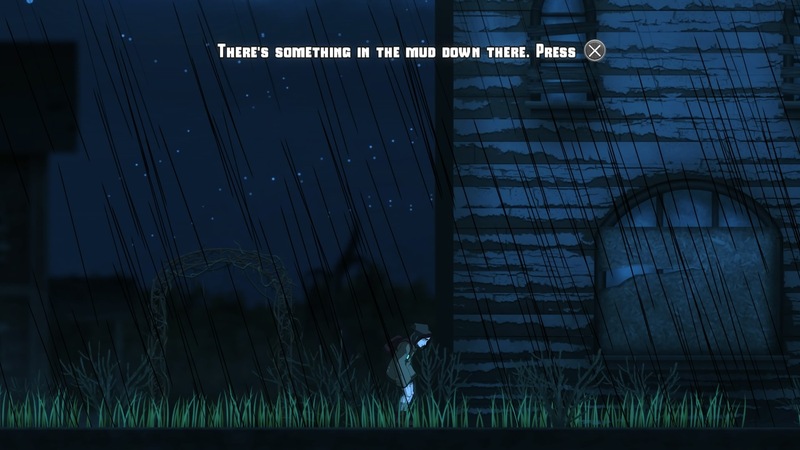 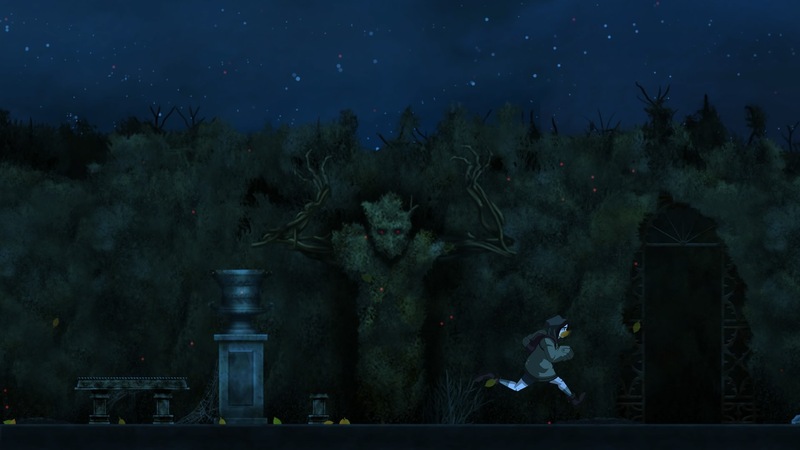 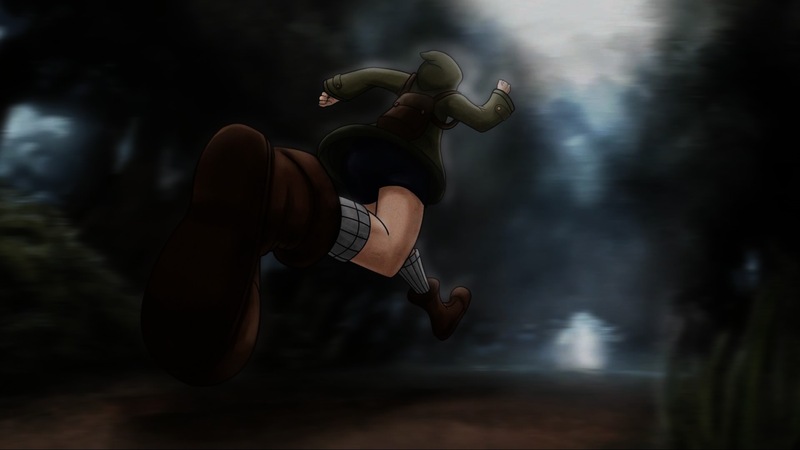 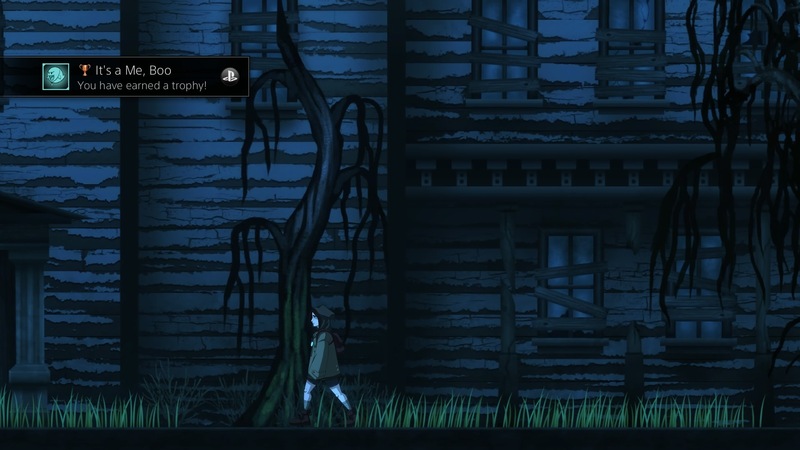 Whispering Willows plays at a decent pace, especially outdoors, where you’re allowed to run. 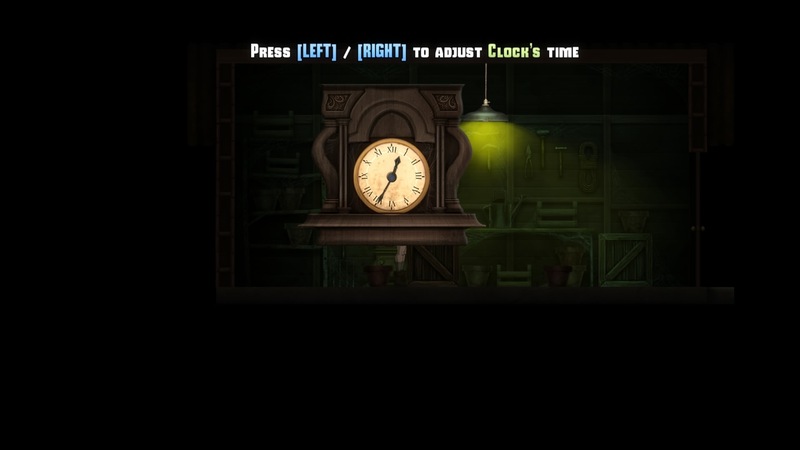 There was only one point, about halfway through, when I was at a loss and had to blindly search the different environments for a clue on how to progress. 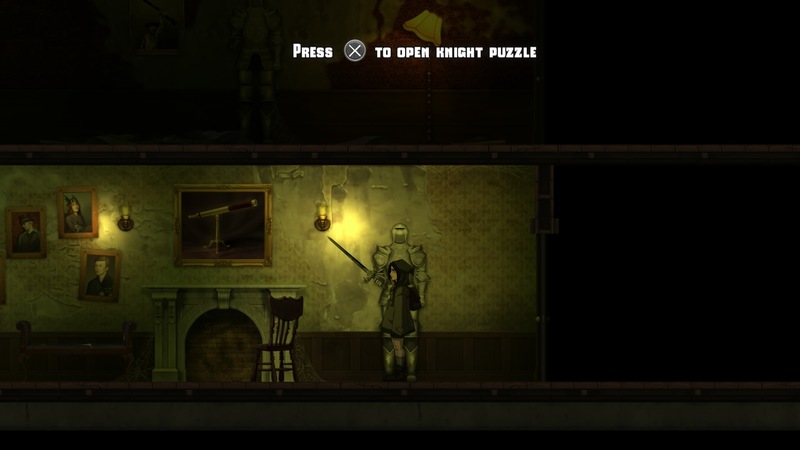 It’s similar to Lone Survivor (and I’m sure a ton of other games) in gameplay. 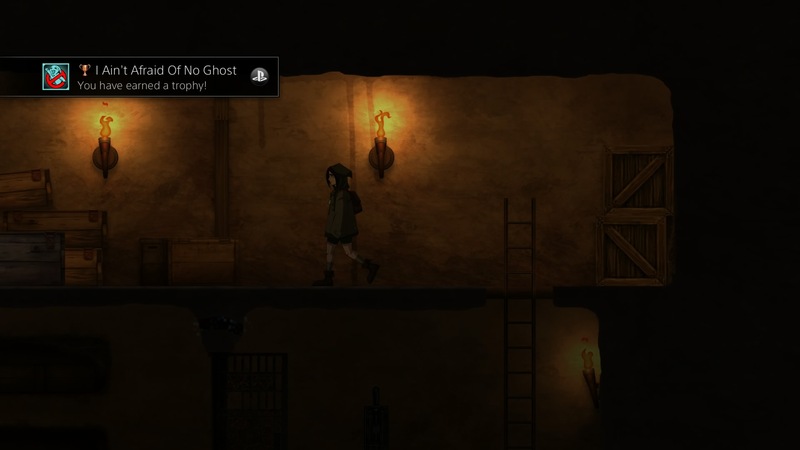 It also reminded me of Never Alone in that it tells the story of a culture not typically depicted in video games. 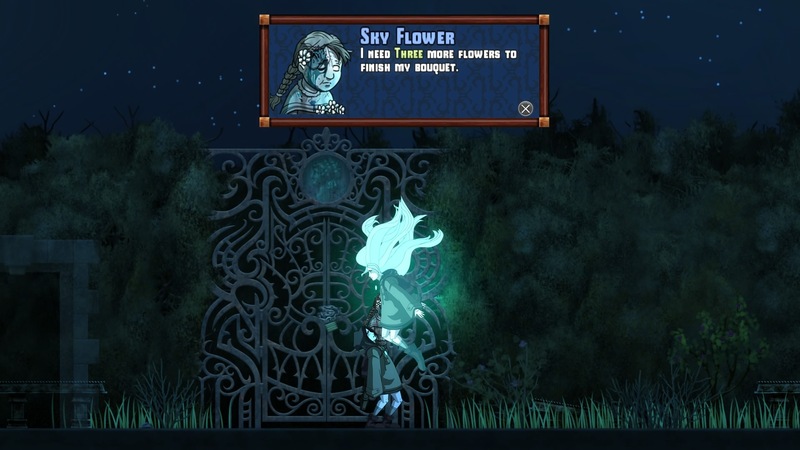 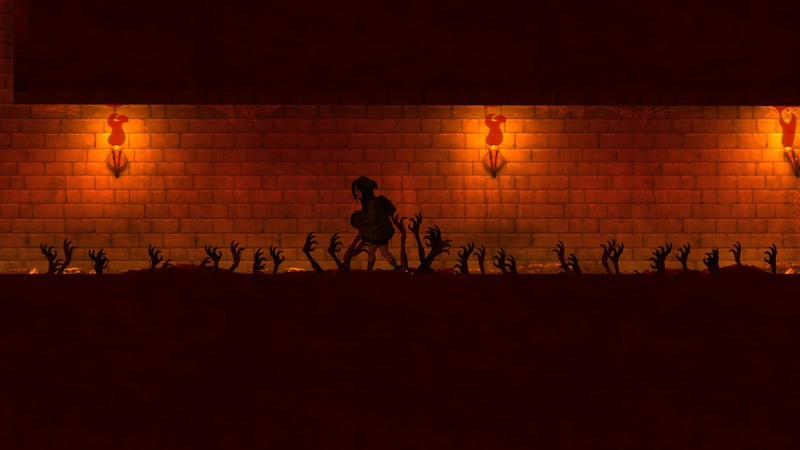 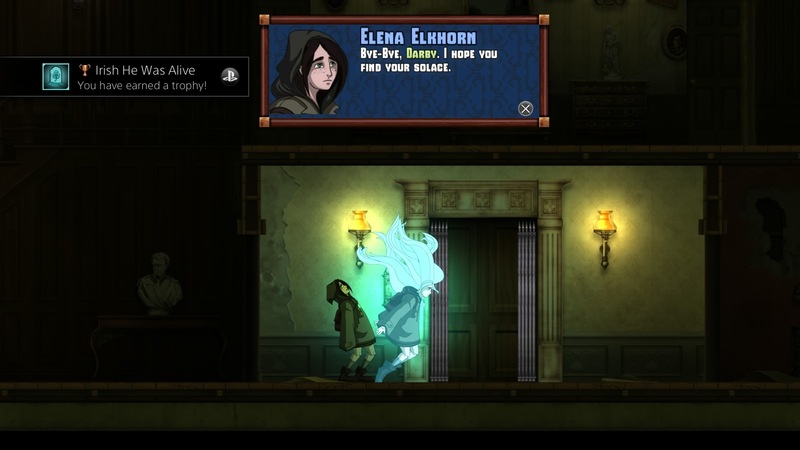 Though it’s a 2D game through and through, it cleverly creates the illusion of a third dimension by placing doors and pathways in either the foreground – casting shade over Elena – or the background. 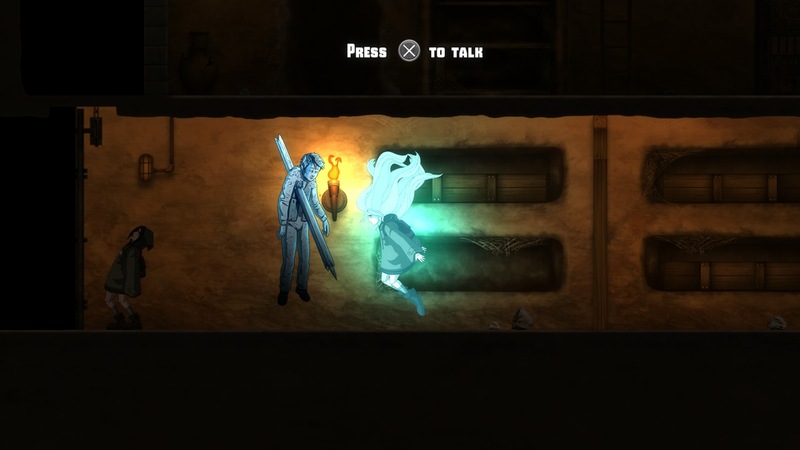 One sticking point is that the game’s immersion is consistently disrupted whenever you enter a door/pathway. 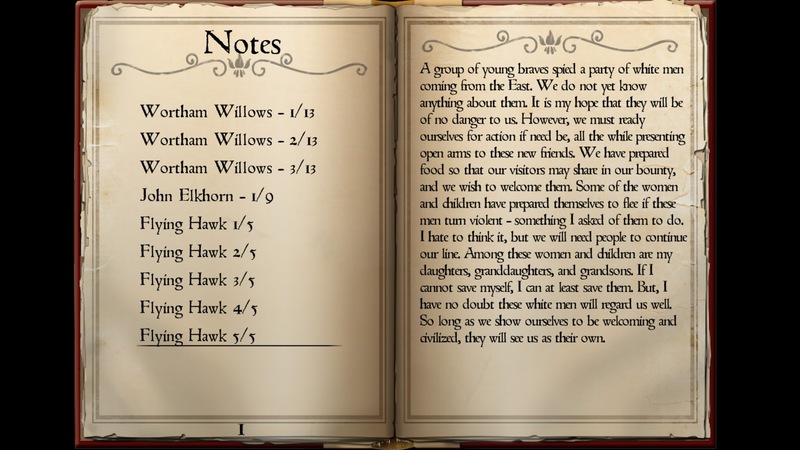 A fade to black with the word “SAVING…” on the bottom of the screen is a surefire way to kick me out of the experience for a few seconds. 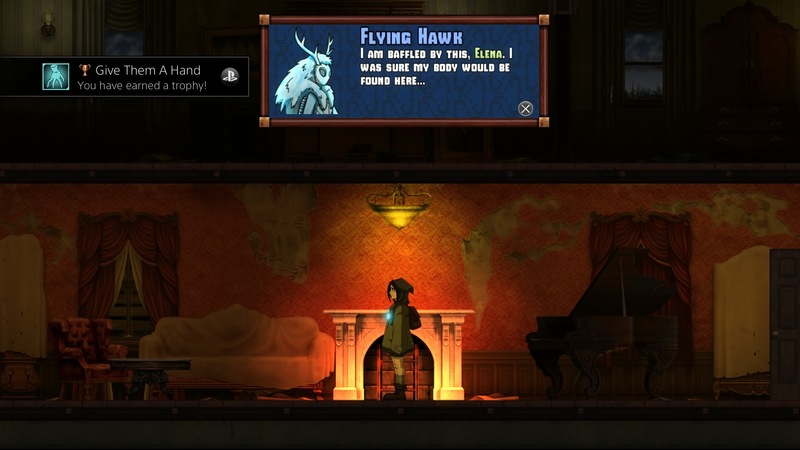 The Vita version suffers from lengthier transition times than the PS4 version. 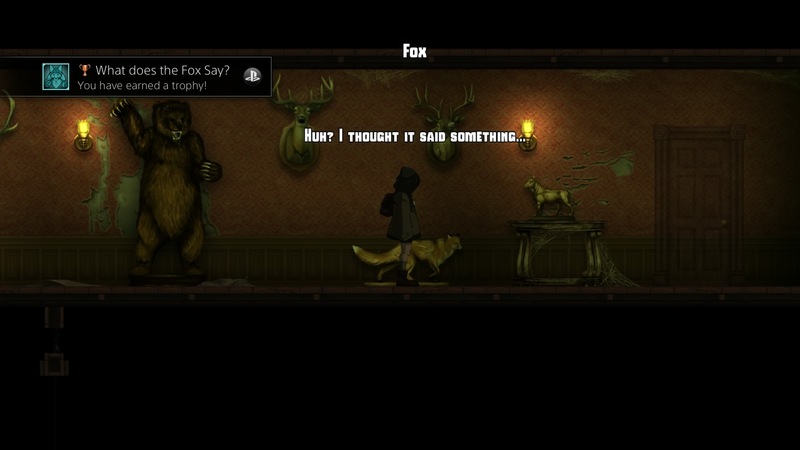 I played through the game on the PS4, which I recommend if you have the choice. 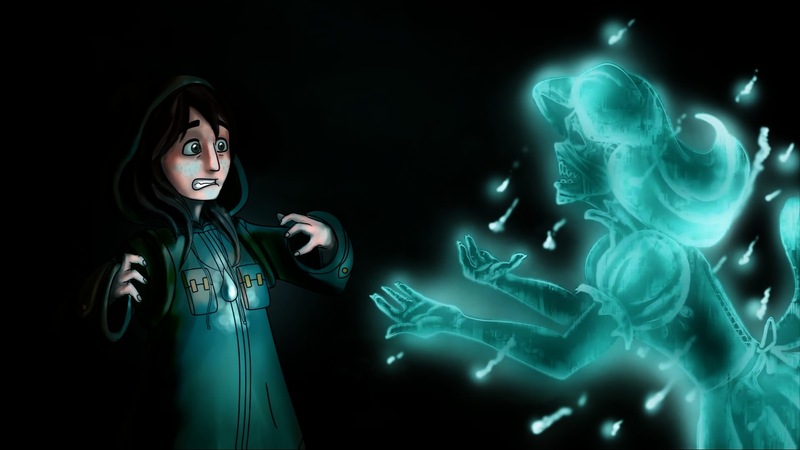 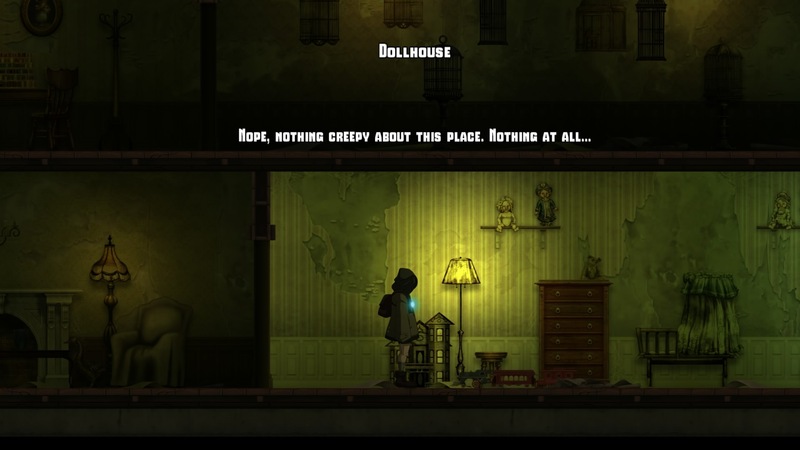 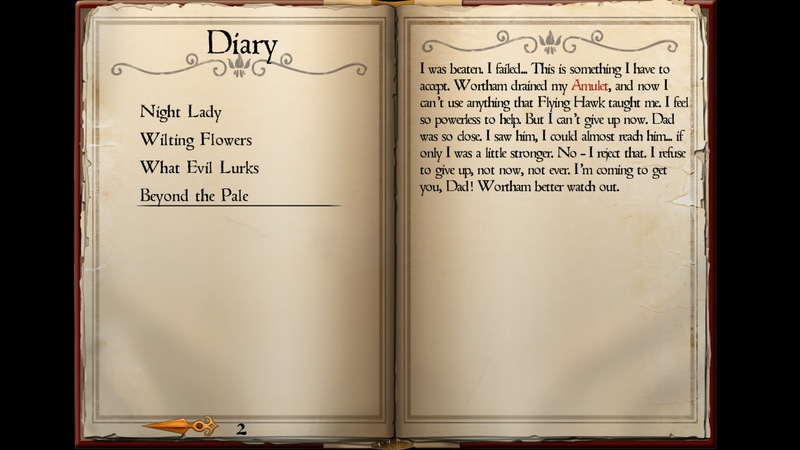 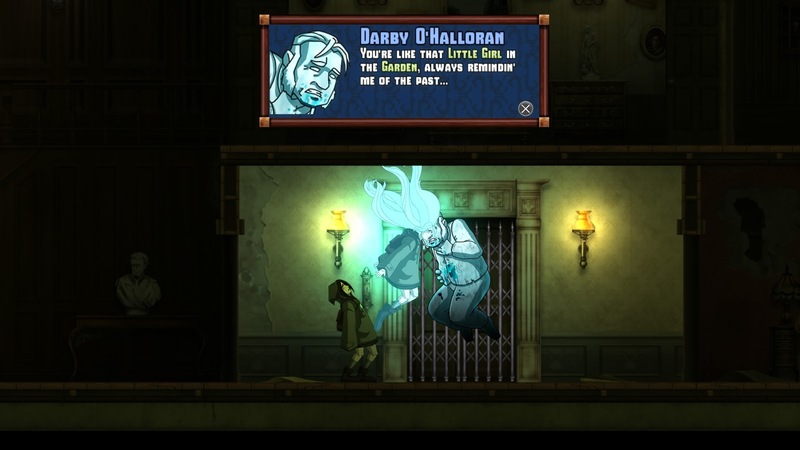 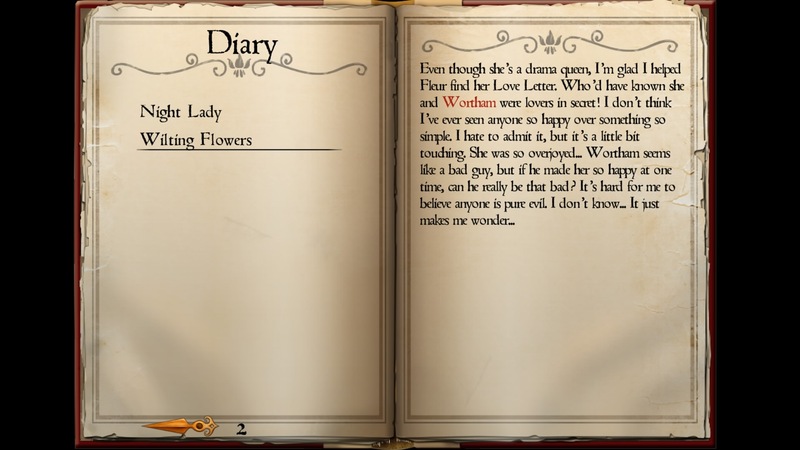 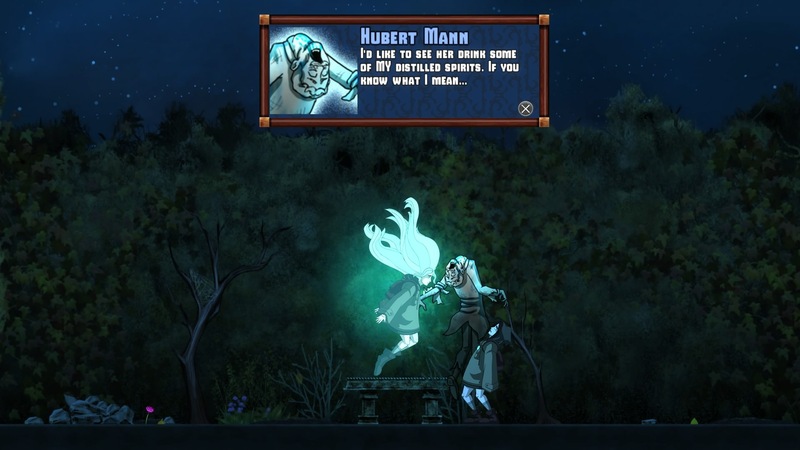 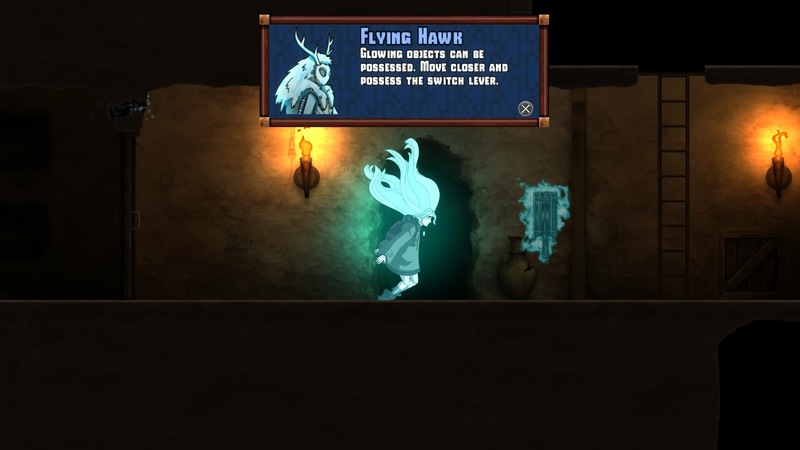 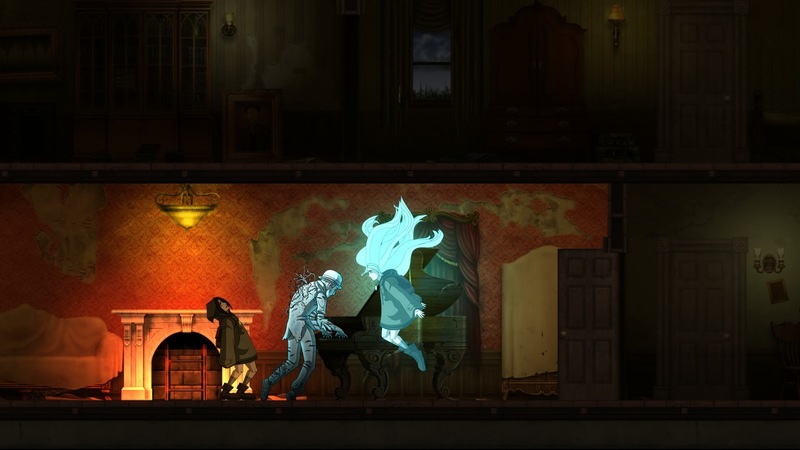 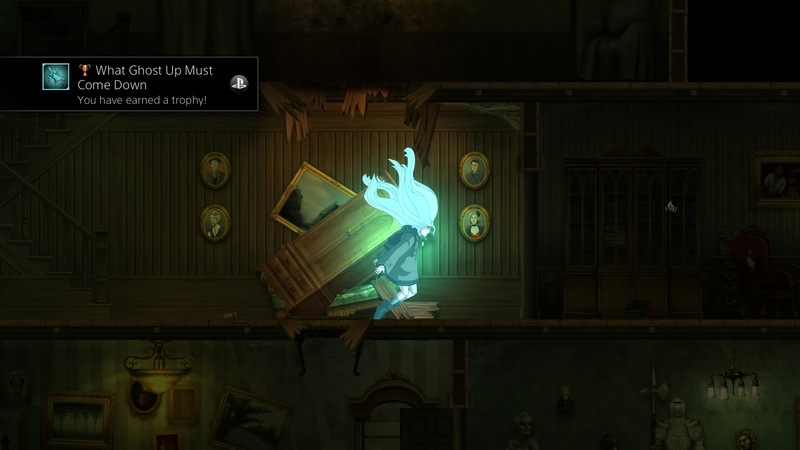 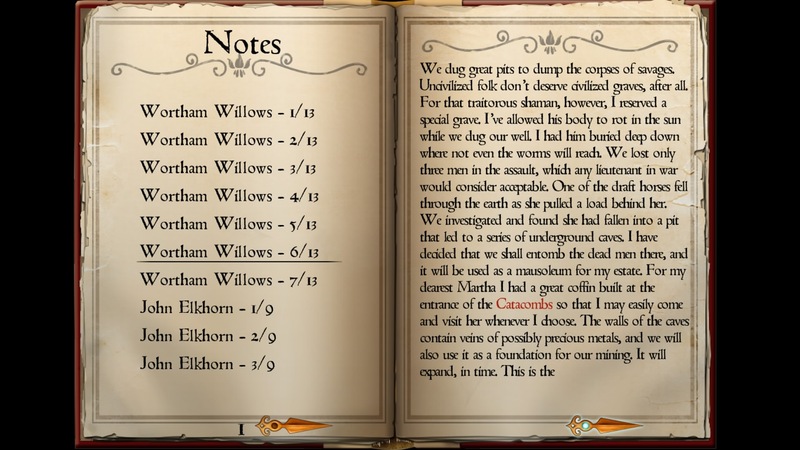 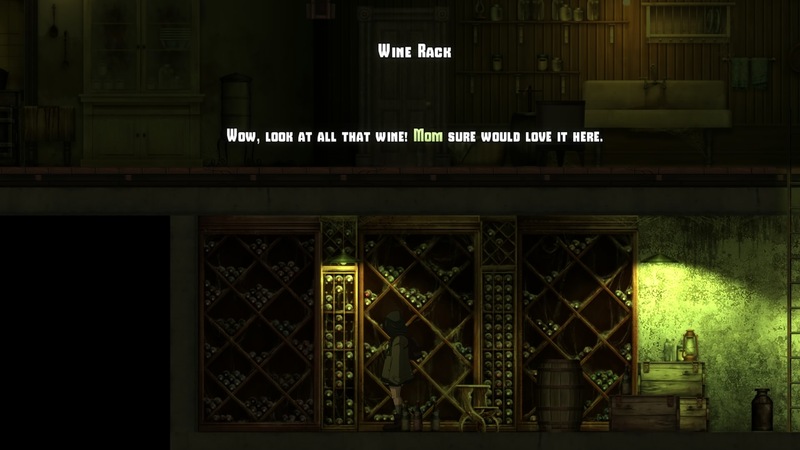 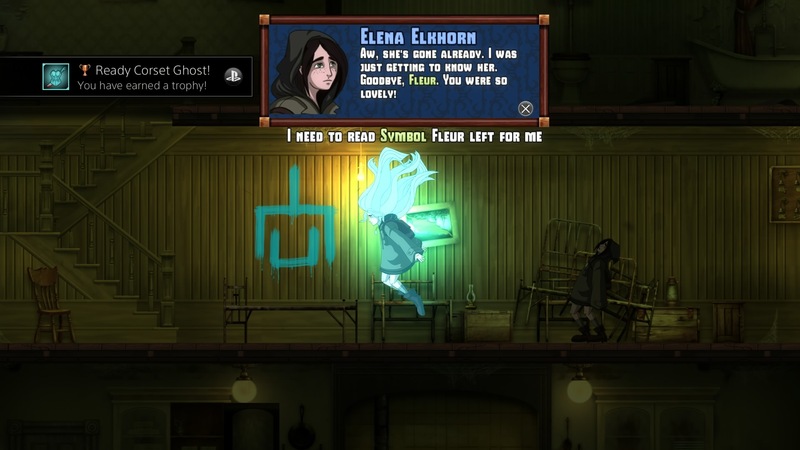 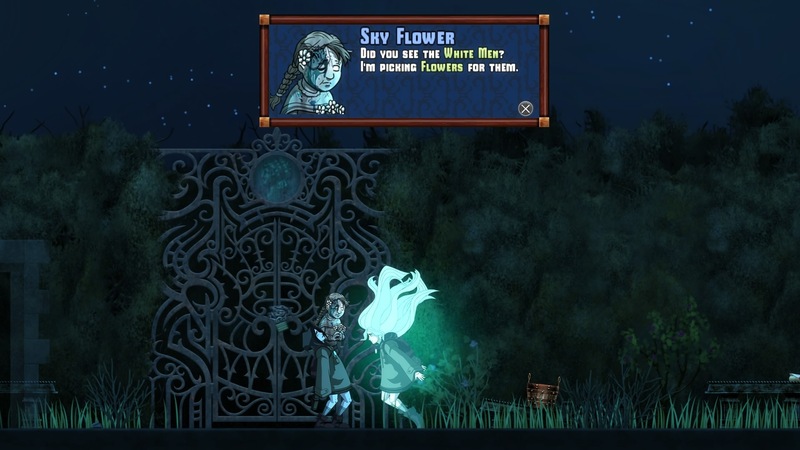 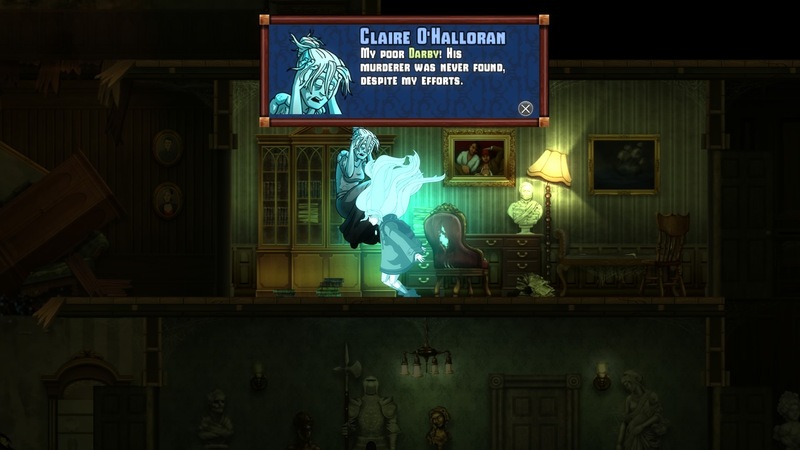 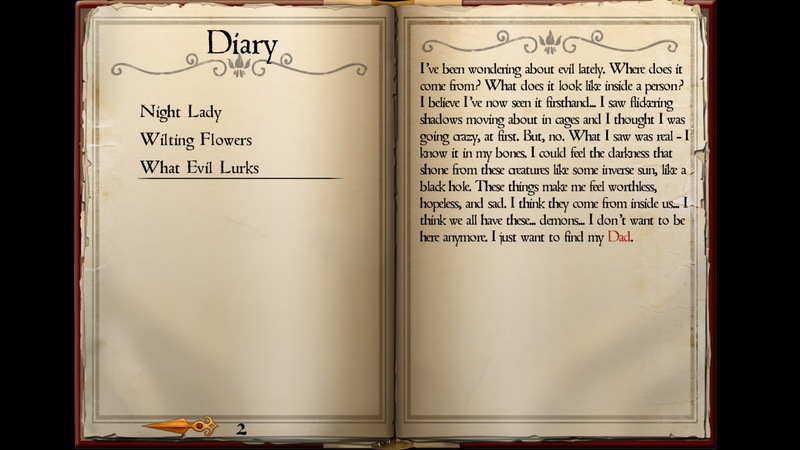 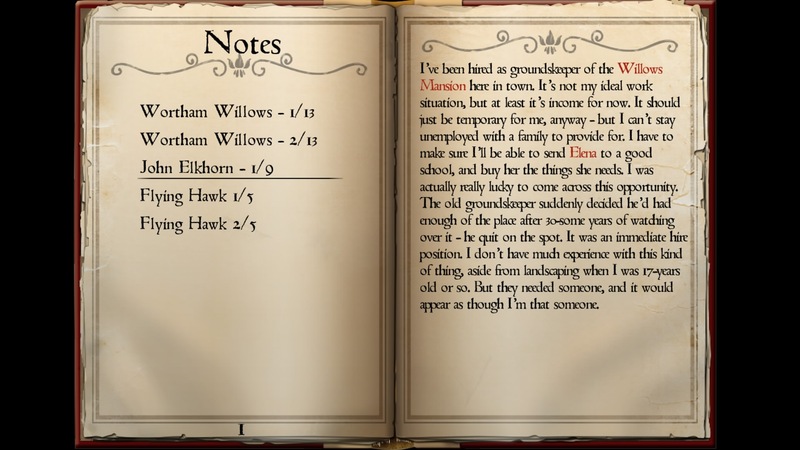 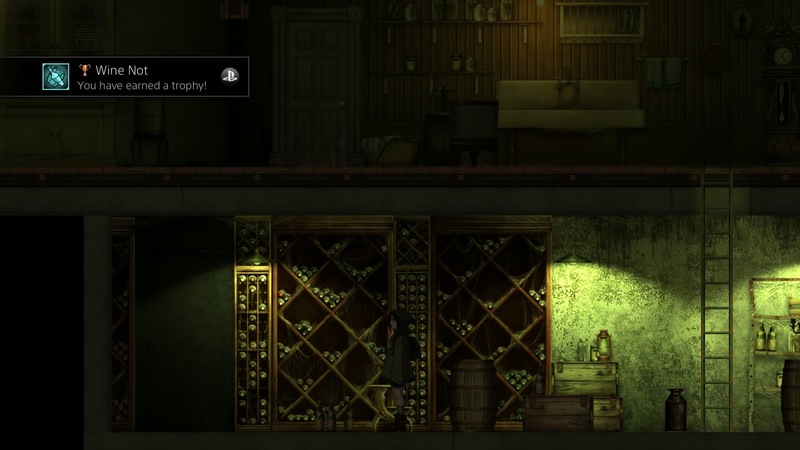 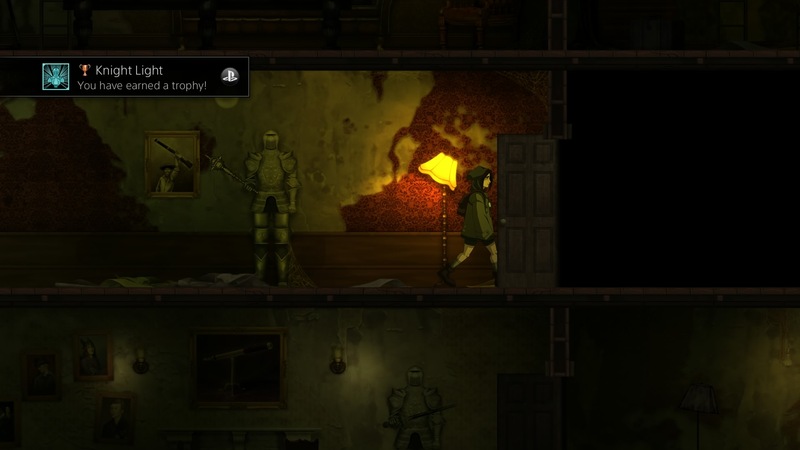 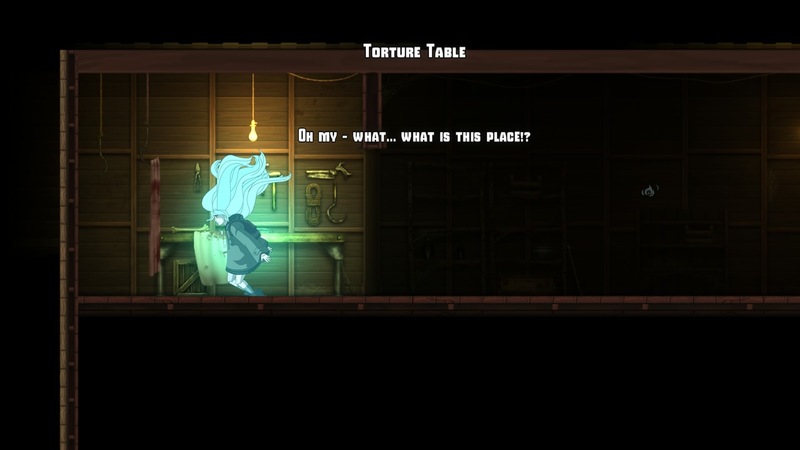 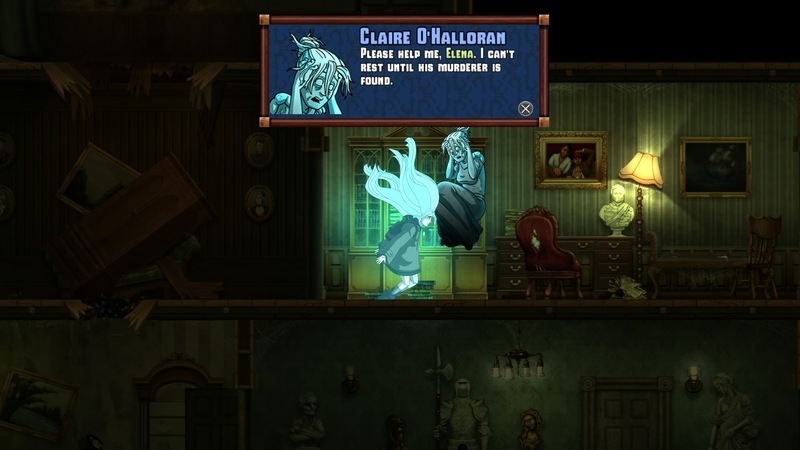 What Whispering Willows lacks in traditional gaming flare, it makes up for in narrative novelty. 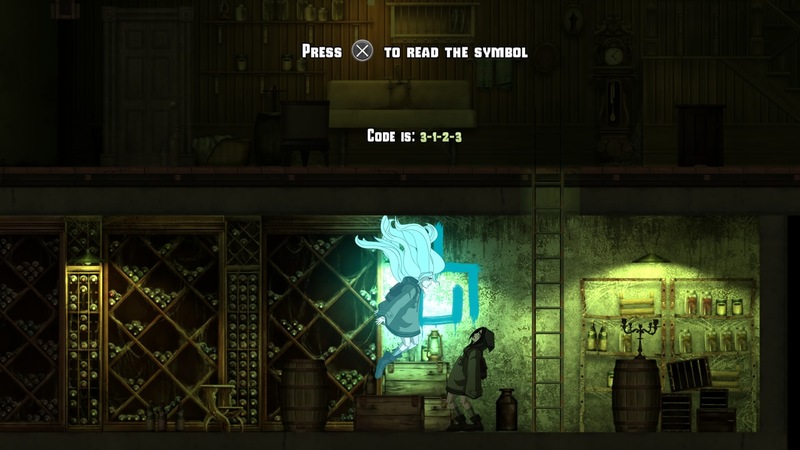 It’s a 2D adventure game that’s light on puzzles and heavy on reading, but I think it strikes an effective balance overall. 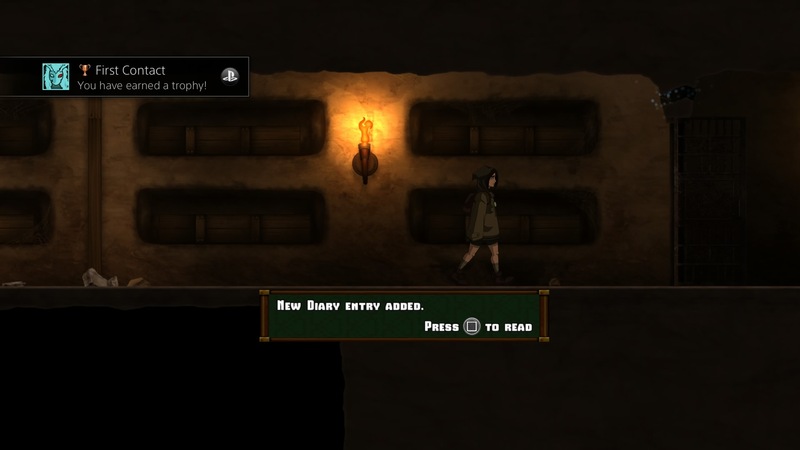 It should be noted that though the game supports cross-buy between PS4 and Vita, the save files are not compatible. 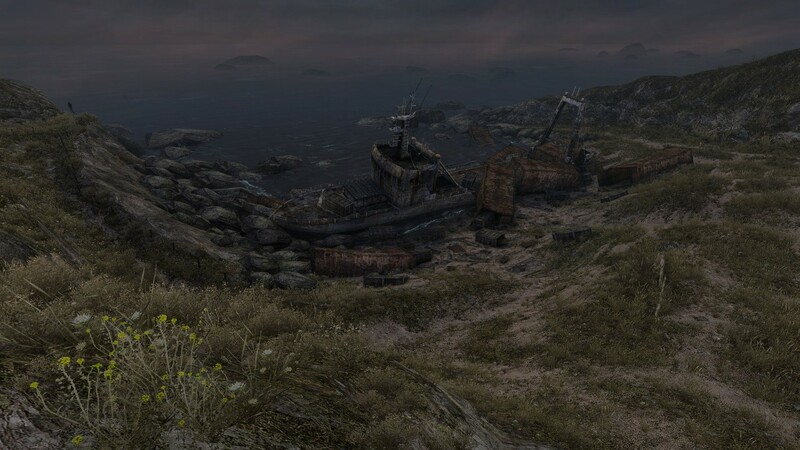 You can’t start on one console, save, then pick up and play on another. 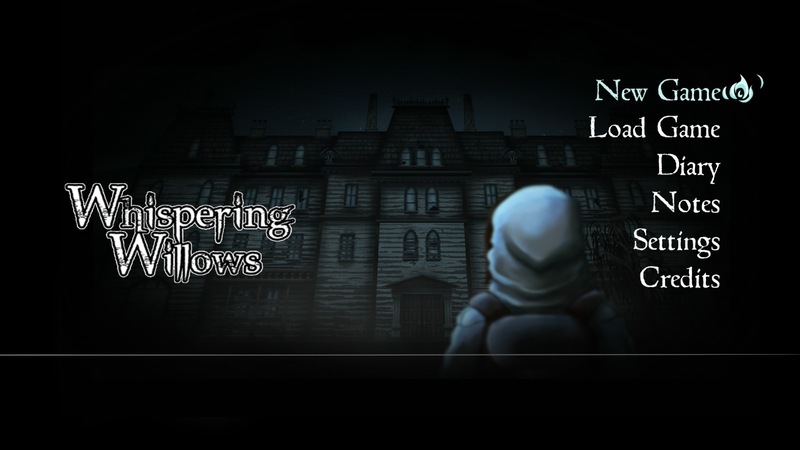 I definitely recommend Whispering Willows if you’re a fan of the genre. 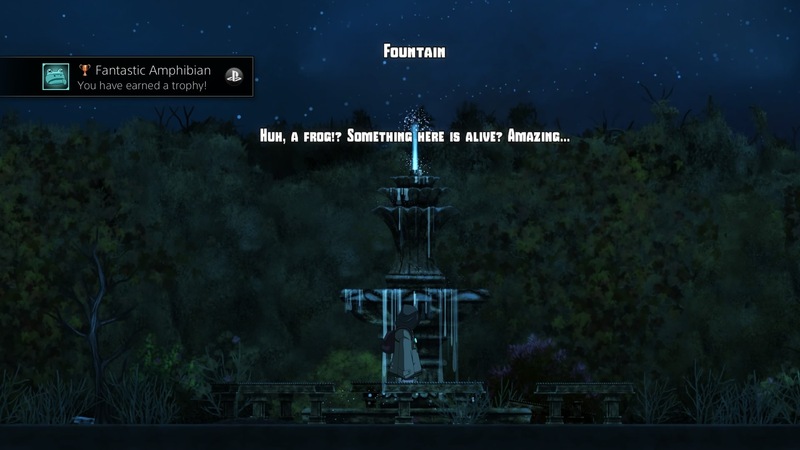 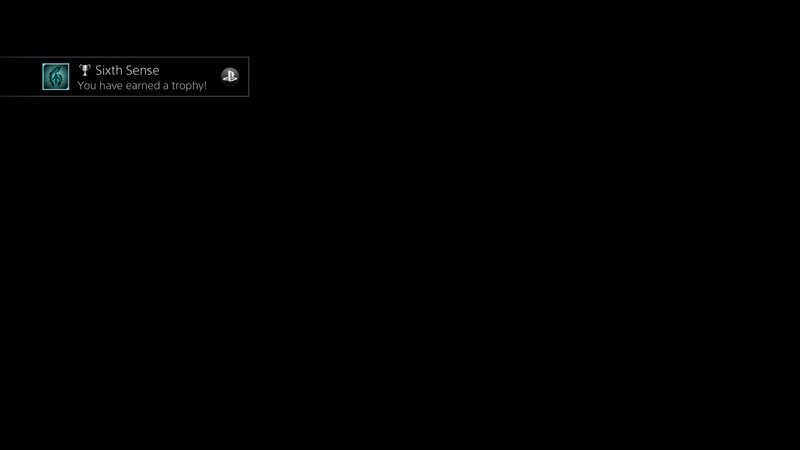 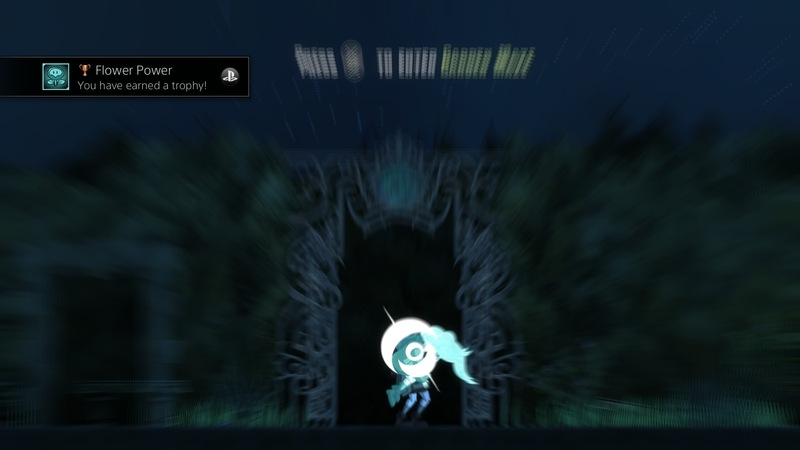 I really enjoyed my time with it (about three to five hours, only missing one note and a couple of trophies) and I’m not even a fan of adventure games. 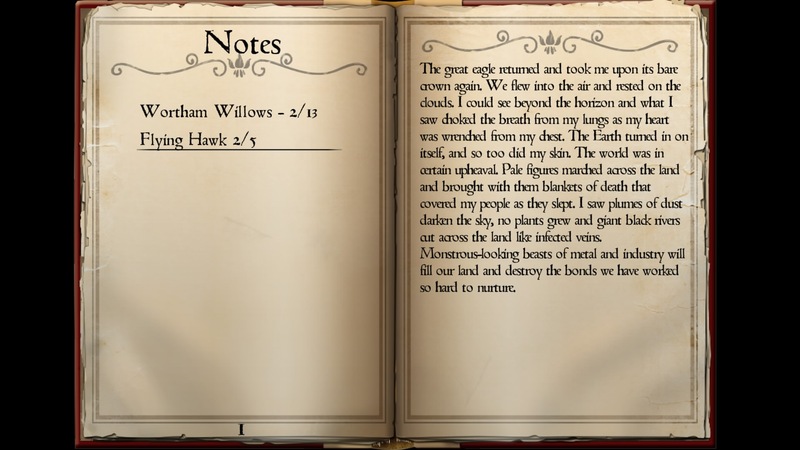 It’s a piece of historical fiction that touches on a problem I’ve encountered in most US history texts and discussions – the idea, consciously or otherwise, that a one-sided, victor-writ history is 100% truthful or correct. 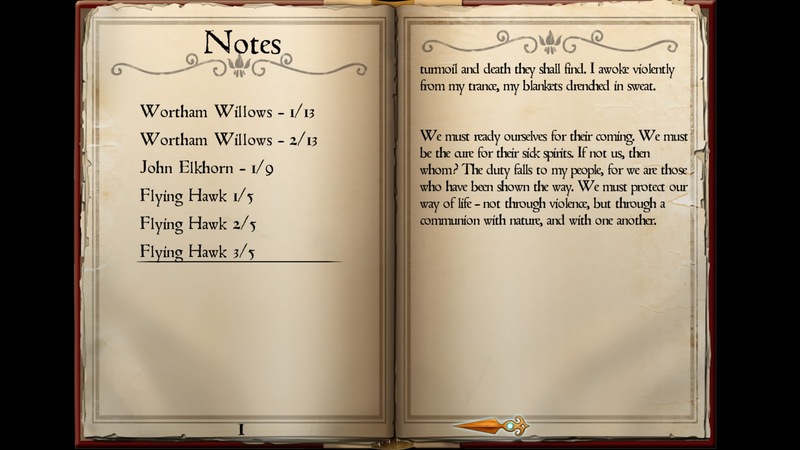 I’m glad this idea is making its way into my favorite medium.